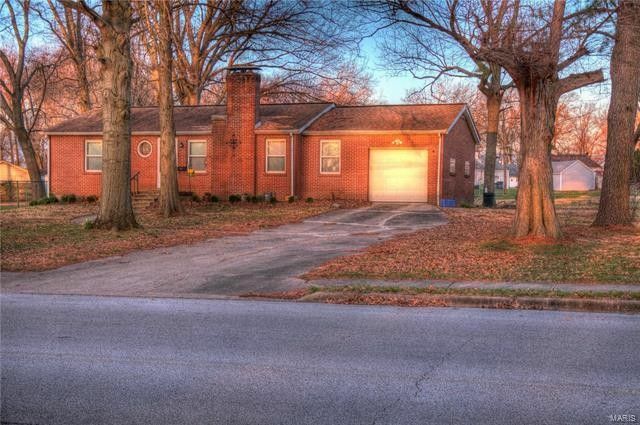 Well maintain brick ranch home sitting on a little under a 1/2 acre lot. Pecan trees and fruit trees in back yard. Sun room off the kitchen that looks out over looks large back yard. Full unfinished basement with shower and a toilet and sink but can not be listed as bathroom in lower level. Large living room, formal dinning with 2 good size bed rooms. Bath room has been updated. Dinning space could turned back into a bed room. Hardwood floors in living room, bed rooms and dinning room. Home has passed city occupancy inspection.